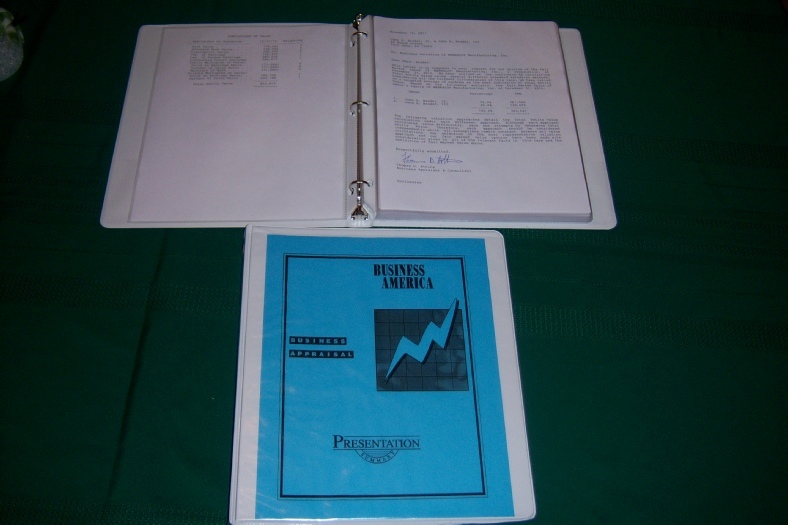 This report contains the documents and data we have used to appraise NAME OF BUSINESS. The suggested value-price is the sum of tangible assets and intangible Business value. 1. Inventories for resale or consumption. 4. Transferable rights and privileges uncontrolled by scarcity. 3. Management systems in place and producing cash flow. 4. Proprietary rights or limited issue permits. 5. Training and available consulting time. The estimated current intangible value of the company is: $227,493. The Business Appraisal report with supporting documentation offers several values; therefore, our single value-price conclusion is the average of the documented values. The estimated current market value of the company is: $582,643.